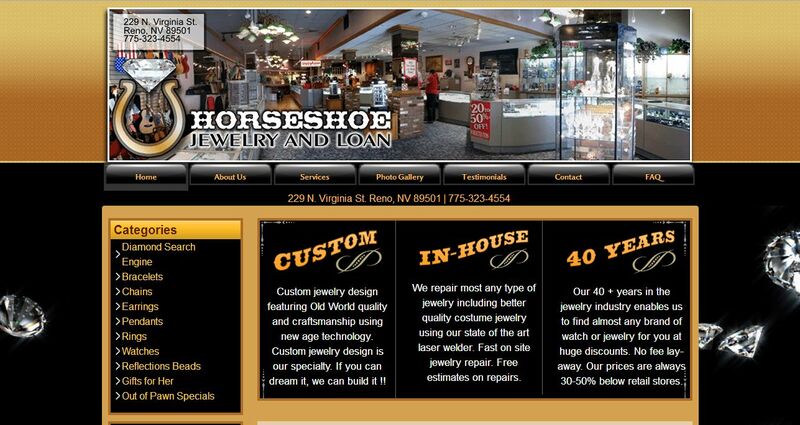 Horseshoe Jewelry And Loan address, phone, website, and more. Custom jewelry design featuring Old World quality and craftsmanship using new age technology. 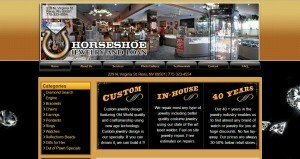 Custom jewelry design is our specialty. If you can dream it, we can build it. We repair most any type of jewelry including better quality costume jewelry using our state of the art laser welder. Fast on site jewelry repair. Free estimates on repairs. Our 40 + years in the jewelry industry enables us to find almost any brand of watch or jewelry for you at huge discounts. No fee lay-away. Our prices are always 30-50% below retail stores.